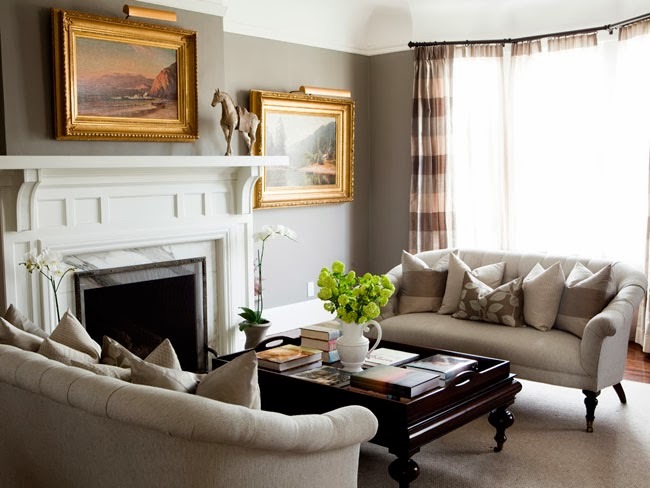 Many people avoiding decorating with grey because they assume it's a very cold color. They associate it with stone. I love grey. It can be very warm if done right. I actually just redid by bathroom with it during the summer. I think my favorite room in this home is the kitchen. If my kitchen looked like that I would probably never leave. 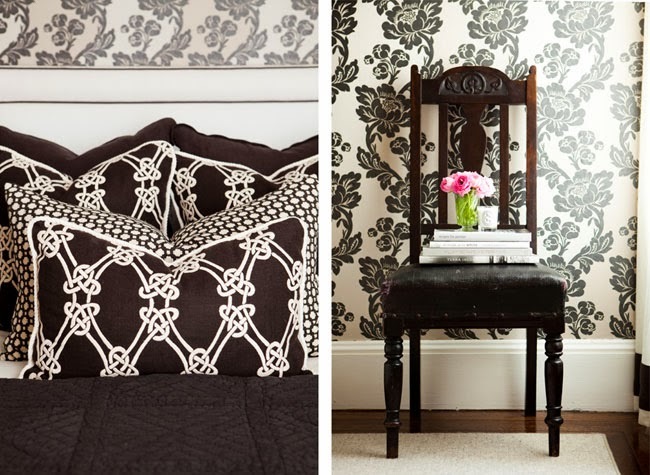 This post features interior design by Caitlin Wilson. 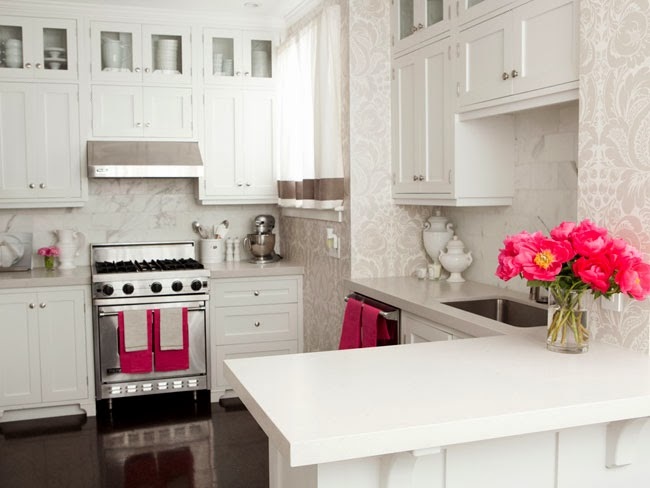 I love that kitchen, the touch of pink adds so much personality to the room! I love grey! Grey clothes, grey in decorating... love it all. That kitchen is amazing!! 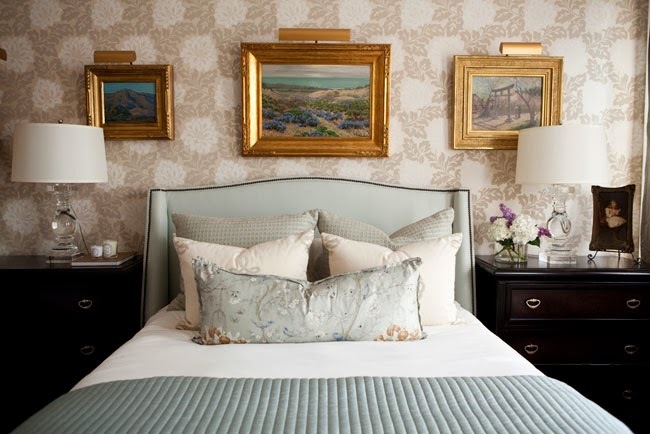 Grey makes all those rooms look so sophisticated! Such great room choices! I think I need a grey room in my house now! How fresh is that kitchen? Wow! I love the grey scale so much. Done! Thanks for stopping by! Adore that kitchen! Super cute. Love these looks. What I want my dream house to look like changes constantly, but right now I am OBSESSED with white and gray kitchens! I think they look just fab! I think gray might be my favorite paint color ever! That kitchen is amazing! I think grey is the best! Especially paired with pink! Živa | Nothin' Fancy. Really.